The Week in iOS Accessories: Now hear this! 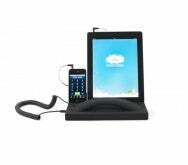 There are always more ways to listen to music on your iPhone or iPad. This week’s roundup of recently announced iOS accessories includes a few. Here’s what’s new this week. Adonit: Maybe you need a pen for some situations and a capacitative stylus for others. Adont's $40 Jot Flip can help you out. On one end it's a refillable pen; on the other is a touchscreen stylus with a precision disk for detailed drawing and writing on your iPad or iPhone. Twist the barrel to open it up and replace the ink cartridge; a clip helps ensure the Flip never gets lost. G-Project: We all love to take our music poolside, but getting our electronics wet isn’t exactly desirable. One option is the $69 G-Go series of water-resistant Bluetooth speakers, which lets you play music wirelessly from your iPhone, iPad, or other Bluetooth device. 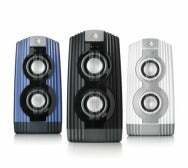 Each 10-inch-tall speaker runs eight hours on four AA batteries and is designed to withstand big splashes from all angles—though not, the manufacturer says, for prolonged exposure to or submersion under water. The speakers come in three colors—black, white, or metallic blue—and are available at Target. Griffin Technology: Seems like hardly a week goes by these days that there’s not a new iOS-controlled helicopter on the market. The $60 Helo TC Assault Touch is a bit different—it’s weaponized. It comes with twin missile launchers and six Redeye missiles, which you can fire while flying the craft using an app on your iPhone, iPod touch, or iPad. We don’t believe that actual explosions occur with this device, but you nevertheless might want to play Wagner’s “Ride of the Valkyries” while flying. 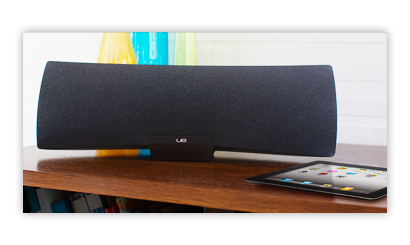 Logitech: The new $400 Logitech UE Air Speaker is designed specifically to take advantage of Apple's AirPlay technology, letting you stream music wirelessly from your iPad, iPhone, iPod touch, or Mac, using Logitech's free music app to remotely control the tunes. (You can also use any AirPlay-enabled app, or iTunes.) 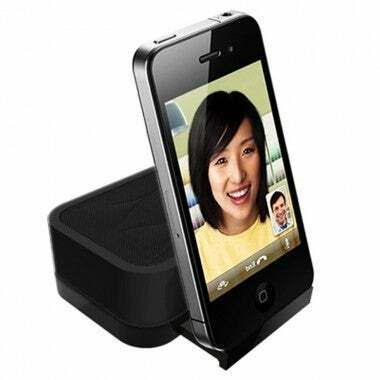 The speaker also includes an Apple dock connector so you can charge your iPhone or iPod device while playing music. The UE Air Speaker goes on sale in April. Pyle Audio: We are strong believers that the world is always in need of more karaoke. 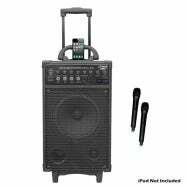 Pyle’s $231 Wireless PA System is built to grant our wishes. The system has an 8-inch woofer and runs on 300 watts of power—and it includes an iPhone dock on top for playing the tracks that make you sing. The system comes with two wireless microphones, as well as wheels and a telescoping handle, so you can drag the party anywhere you want it to go. 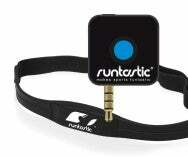 Runtastic: iPhone-loving joggers have two new products to aid their exercise. Runtastic’s Dongle and Chest-Strap Set records your heart rate while you work out, transmitting the data to your phone for processing through one of the company’s exercise apps. The set sells in Europe for €60.00. The €20 Sportsarmband lets you wear your phone on your arm while you run, while offering easy and transparent access to the phone’s Multi-Touch display. Satechi: Here is a tiny speaker dock for your iPhone 4 or 4S: The $16 iFit-1 runs on a rechargeable battery for up to six hours, letting users listen to music through a larger-than-stock speaker or conduct hands-free FaceTime chats and phone calls. The speaker can be used with a laptop or tablet, as well. The iFit-1 is available in pink, green, black, or white, with blue coming soon.